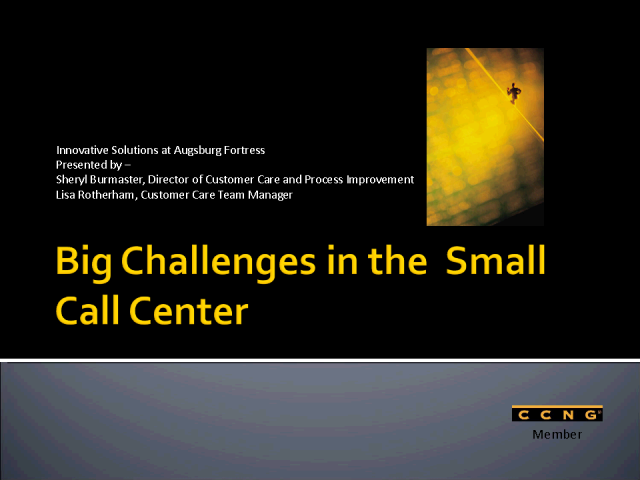 CCNG talks with member Augsburg Fortress's Director of Customer Care and Process Improvement, Sheryl Burmaster about their call center best practices in their small call center operation in Minneapolis MN. Augsburg Fortress will be hosting an upcoming CCNG networking event in their center. Info for the event located at CCNG.com.